Venice, Paris, or London—the images of these cities are defined significantly by their many pedestrian bridges. 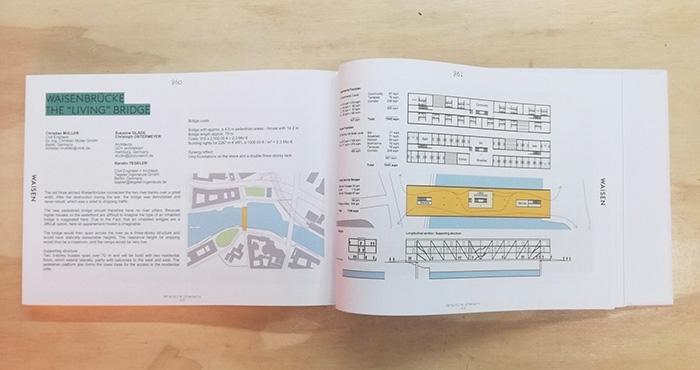 Berlin also offers a wide and still unexploited potential for this exciting building task. 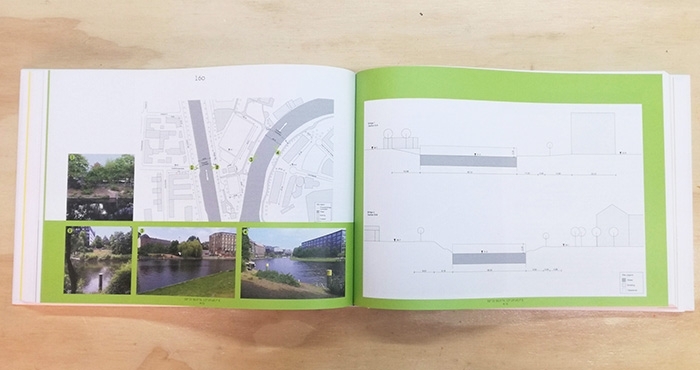 These bridges contribute significantly to the quality of life of city residents and furthermore their planning and construction require the close cooperation of construction engineers, architects, landscape and lighting planners. 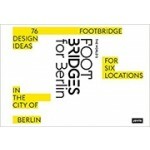 Footbridges therefore represent an important and interdisciplinary contribution to building culture. 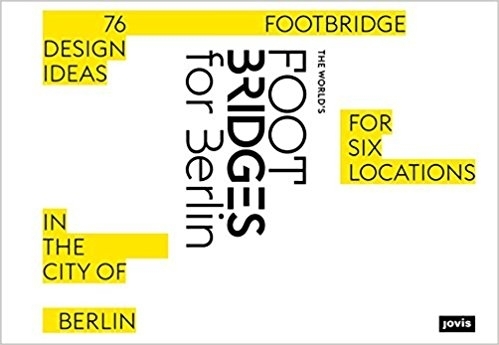 As part of the international conference “Footbridge 2017”, experts from around the world developed bridge ideas for six typical locations in the German capital, under the title “Tell a Story”. 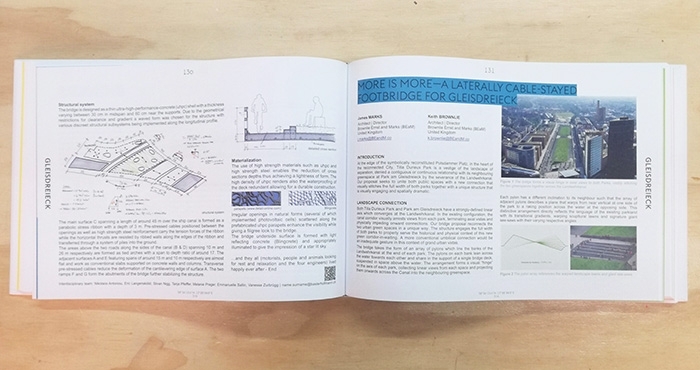 This book presents all designs with sketches and plans, affording an illuminating insight into the current status of footbridge construction.